Kennett High School graduate Aodhán Christopher Devlin Gorman will continue his education at the Illinois Institute of Technology, where he will study architecture and compete on the men’s swim team. Aodhán (sitting middle) was surrounded by his parents, Mr. Martin Gorman and Mrs. Christina Sinton-Gorman, and his brother Rónán Gorman (KHS Class of 2020), as well as (standing, from left) Head Coach Mr. A.J. Shepherd, Athletic Director Mr. Sean Harvey, Assistant Coach Mr. Alex Schwendeman, and Assistant Principal Mr. Jeff Thomas. 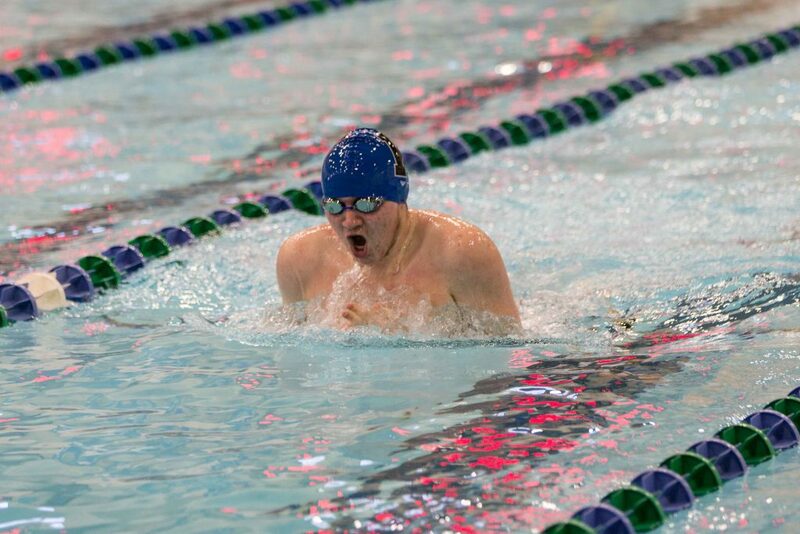 As a four-year varsity athlete, Aodhán played a vital role on Kennett High School’s swimming and diving team, competing in the 100 yard breaststroke, the 200 yard individual medley, and the team relays. During his high school career, Aodhán earned multiple awards for his dedication and sportsmanship, such as the 2014 Kennett High School Coach’s Award, the 2016 Kennett Booster Association’s Excellence in Sports Award, and the John Michael Manfredi Memorial Scholarship, which is awarded to a Kennett High School senior who attended Greenwood Elementary School, plays a sport, and has consistently shown a positive and enthusiastic attitude on the field and the classroom. Outside the high school team, Aodhán actively participates on two select swim teams, the Golden Rams Aquatics (USA—Mid-Atlantic) Swim Team and the Green Woods Club Summer Swim Team. Truly passionate about the sport of swimming, Aodhán is also a junior coach on the Green Woods Club Summer Team, where he helps to develop young swimmers. 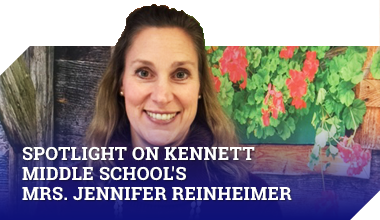 A dedicated community member, Aodhán actively volunteers for the Greenwood Elementary School and the Kennett Middle School Parent-Teacher Organizations and the Kennett Education Foundation. As a Kennett High School student Aodhán was a member of the school choir, a student-directed a cappella group, and the Demon Robotics Team. He has also completed the three STEM courses at the high school level. Aodhán credits his experiences in the STEM program with leading him to pursue a career in architecture. Aodhán is excited to begin his collegiate career as a student athlete. He will pursue a professional Bachelor of Architecture degree and then a Master of Architecture, with the goal of obtaining state licensure by passing the NCARB’s Architect Registration Examination. The Kennett Consolidated School District wishes Aodhán all the best at the Illinois Institute of Technology. 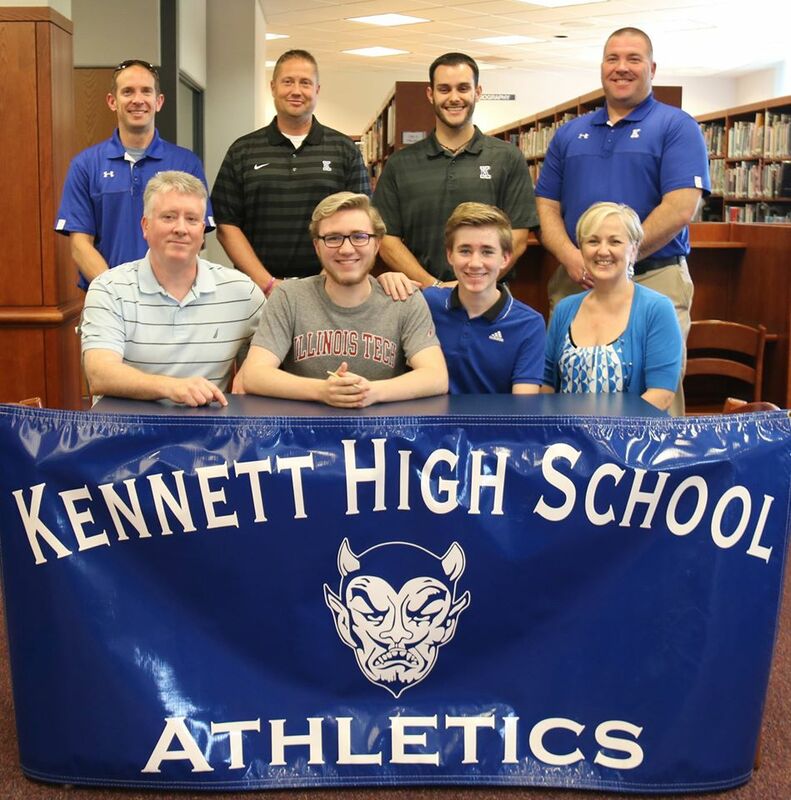 Kennett High School celebrated senior James S. Jones signing his National Letter of Intent to play Division II soccer at Belmont Abbey College. James (sitting middle) was surrounded by his parents, Mr. and Mrs. Hal and Kimberly Jones, as well as (standing from left) Head Coach Mr. Mike Barr, Athletic Director Mr. Sean Harvey, and Principal Dr. Jeremy Hritz. James was an active member of Kennett High School’s soccer and track teams. During the course of his high school athletic career James received many awards, including the Captain’s Award and the Milman E. Prettyman Prize which is awarded to student-athletes who demonstrate one or more of the ideals of sportsmanship, including fairness, civility, honesty, respect and responsibility. Off of the field, James is a dedicated community member who actively volunteers as a coach for the Southern Chester County Soccer Association Summer Camp. James chose to attend Belmont Abbey College due to the school’s small size and excellent educational programs. James will study criminal justice, and has a goal of becoming a detective or special agent after he completes his education. James is excited to continue his athletic and academic careers as a Belmont Abbey Crusader! 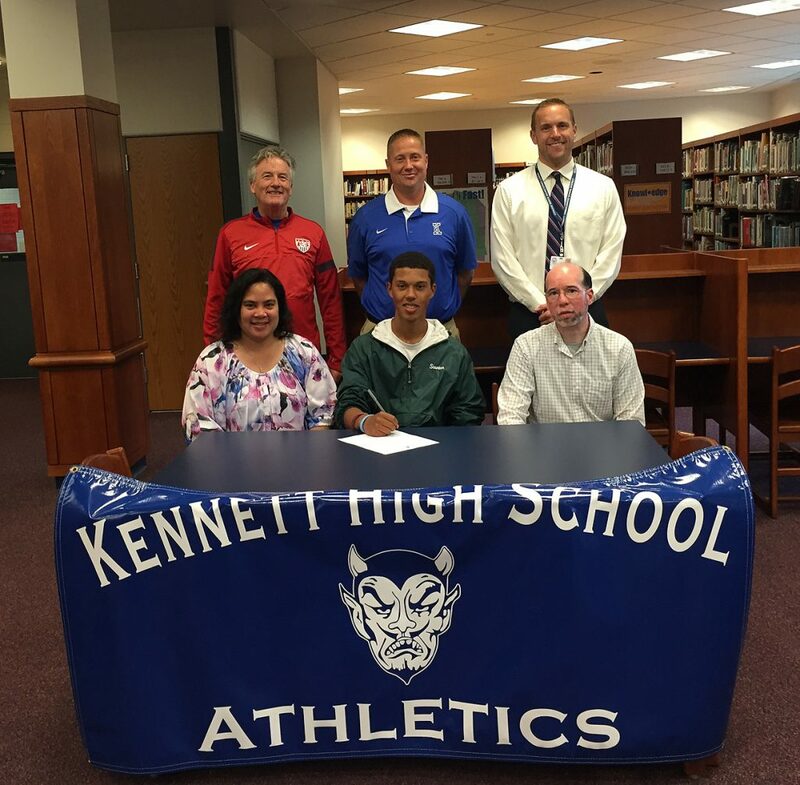 The Kennett Consolidated School District would like to congratulate James on signing his National Letter of Intent.